The New Zealand food industry’s product reformulation drive has received a huge vote of approval with the world launch here of the ground-breaking Coca-Cola Stevia No Sugar. It’s the first Coca-Cola product sweetened only with stevia, which is derived from the leaf of the stevia plant. Stevia is 200 times sweeter than table sugar and has no kilojoules. 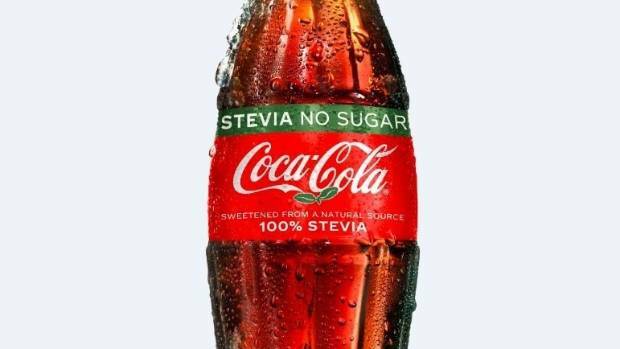 In addition to being free of sugar, Coca-Cola Stevia No Sugar contains just 1.3 kilojoules per 100mls. Like much product reformulation, it wasn’t as simple as finding a sweetener and swapping it out for sugar – it had to have a taste people liked – and the company spent almost 10 years working with stevia. It says the breakthrough came with using a part of the leaf that has a clean aftertaste. Coca-Cola Oceania says with Kiwis always keen to try new things, it jumped at the chance to launch it here. FGC Chief Executive Katherine Rich says that’s a huge complement to the New Zealand industry. “I believe it’s an acknowledgement of the work our companies are doing in product reformulation and their willingness to experiment with new ideas, as well as Kiwis’ fondness for trying something different. “It’s another example of FGC members responding to consumers who want products with less sugar. It’s a global trend, and we’re seeing results in many food categories such as confectionery, with Nestlé recently cracking the science to reduce sugar in chocolate, and locally with dairy products such as kids’ favourite Anchor Uno yoghurt by Fonterra. “The work companies are doing around reformulation is exemplified by the fact they have now produced more than 2000 products that display a Health Star Rating label. “The industry has been asked by the Government to do more, and members have pledged to continue playing their part in a healthier New Zealand.